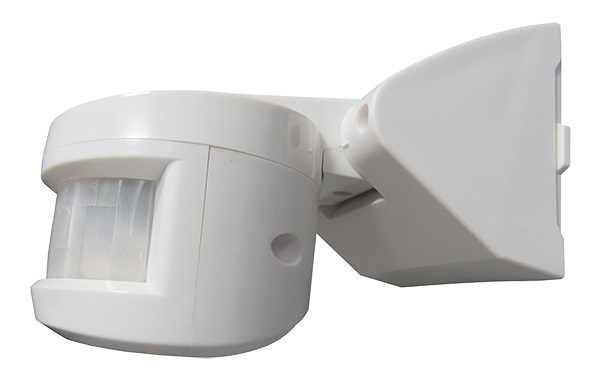 The latest edition to the Housewatch range is the 55-188, 180° state-of-the-art passive infrared (PIR) wall/ceiling mount sensor. 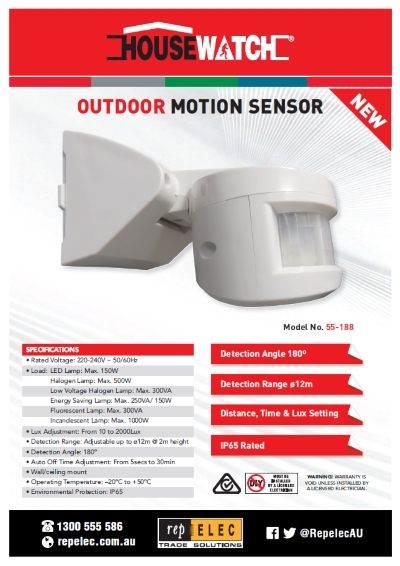 The unit utilises an advanced sensor array allowing instantaneous detection of movement and features a 12 metre detection range at a 2 metre mounting height. 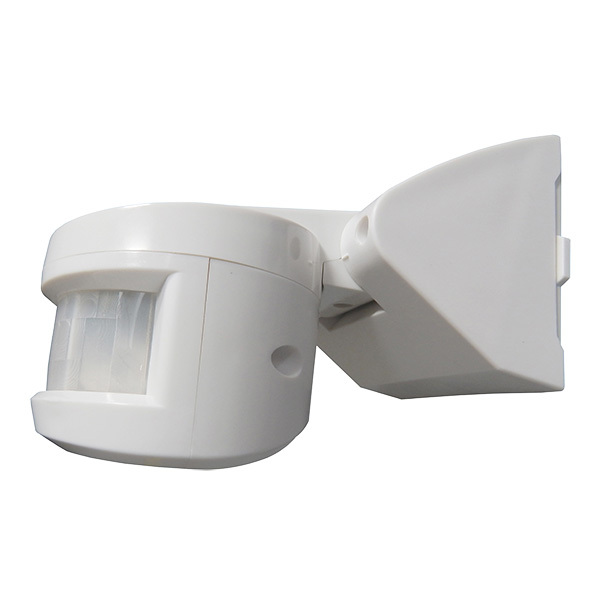 The unit also features a rotatable head (90° left & right), larger terminal block and an ingress protection rating of IP65.